B.R. 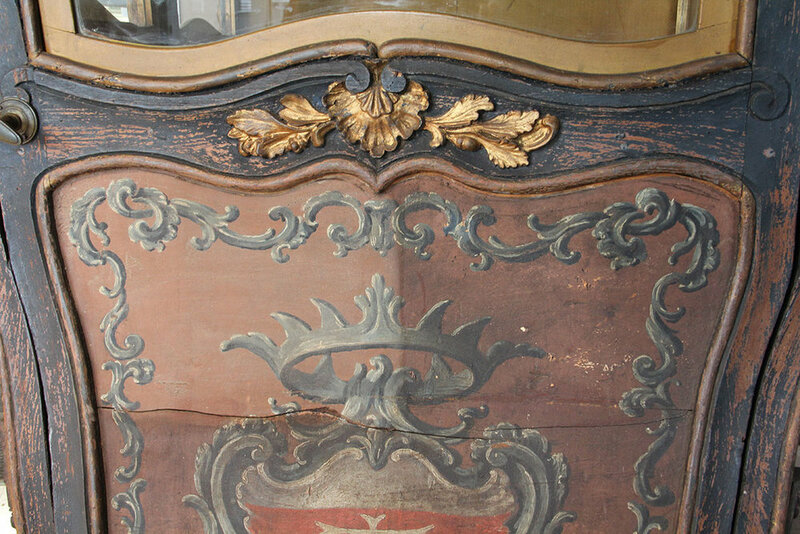 Howard was contracted by Ringwood Manor to provide conservation treatment to this 17th century Sedan Chair. The Sedan Chair was in unstable condition prior to treatment. There were large cracks in areas of the wooden panels on the lower portions on the front and sides. 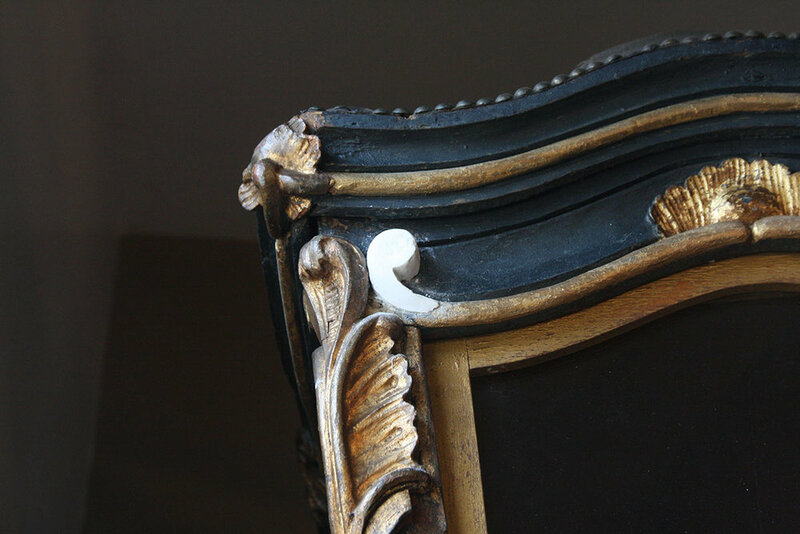 A few gilded elements were missing and the gilding was worn, chipped, loose and flaking. The paint and leather was in poor condition throughout the whole piece. Stains were evident on the interior walls and textiles. 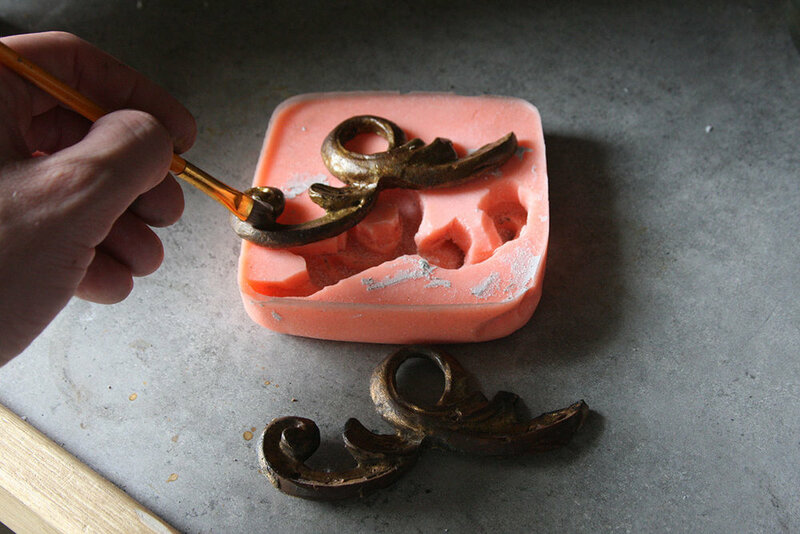 The sooty grime was cleaned from the surface using an aqueous solution while flaking paint was consolidated using a thermoplastic acrylic resin, then the paint was reattached. 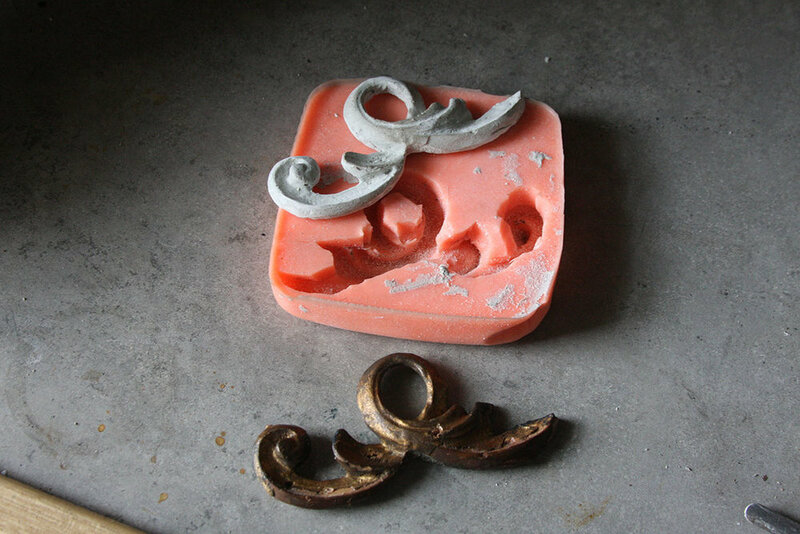 The missing areas of the decorative portions were molded and recast. The reproductions were toned to match the already existing elements. Loose molding was reattached, lost paint was selectively inpainted, and the leather top was vacuumed and consolidated. Finally, a protective acrylic resin coating was applied to the entire exterior. Inside, the walls and textiles were HEPA vacuumed with micro tools. Loose threads on the back of the chair and cushion were stabilized. Loose trim was reattached using a new tack in the original holes and toned to match the existing tacks. Then, mineral spirits were used to clean the front of the seat.